Right Here . . . Right Now . . . Radon! Breathing high concentrations of radon can cause lung cancer. Thus, radon is considered a significant contaminant that affects indoor air quality worldwide. 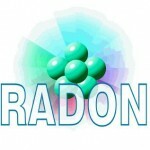 According to the EPA, radon could be the second most frequent cause of lung cancer. Cigarette smoking is still at the top. Radon-induced lung cancer the 6th leading cause of cancer death overall, causing 21,000 lung cancer deaths per year in the United States. OK what does this mean to you now that the media has you in a frenzy, the EPA has you wearing a respirator and the CDC wants you sleeping in a air chamber at night. It means that you should have your new home tested for Radon along with a home inspection. It means that you should have your existing home tested yearly. Yes yearly! It’s that simple so take a deep breath and exhale. Oh I forgot to tell you that you breathe Radon every day. It is in the air you breathe now. It was in the air you breathed yesterday and it will be in the air you breathe tomorrow. Radon is a problem when trapped inside your home. 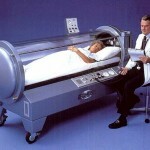 High levels of accumulation and exposure increase the probability of lung cancer. Why risk it? You will not be able to escape Radon, but you can remediate it from your home and not allow the accumulation of this gas in your home. Lowering the levels in your home can costs from $500.00 to $1,500.00. Testing can cost between $50 and $250. Call your Real Estate professional and ask about Radon. Call a licensed home inspector who works with a certified lab and ask the questions. Or go to the local handyman store and buy a kit yourself. No matter which way you go you will be glad you did. Peace of Mind is the Best Advantage! Advantage Companies Announces Program Relationship with Nationwide Insurance. AdvantageInspection.com and AdvantageHomeWarranty.com, providers of home inspections and home warranties respectively, announce a program relationship to offer home physicals and home warranty protection to the insurance customers at Nationwide Insurance beginning June 15, 2009. Greenville, SC (PRWEB) June 8, 2009 – AdvantageInspection.com, a home inspection provider and AdvantageHomeWarranty.com, a home warranty provider announce their partnership program with Nationwide Insurance beginning June 15, 2009. This program will offer home physicals and home warranty protection to insurance customers of Nationwide. Nationwide Insurance selected The Advantage Companies because Advantage has separated themselves from their competitors by offering the first and only home warranty in America to be underwritten by the home inspection. The inspection underwriting allows Advantage Home Warranty to cover more of the major systems and individual components in the home. Advantage’s “no denied claims” coverage exclusive guarantee is that claims will not be turned down as a result of any pre-existing condition not documented in the inspection report. This coverage addresses a major complaint in the home warranty industry. “By combining Nationwide’s On Your Side promise and Advantage Companies Total Protection, customers can achieve a greater sense of security and peace of mind as a homeowner – a great feeling to have in these uncertain economic times” said Ronald Wehner, Sr. Business Consultant with Nationwide’s Strategic Partnerships. For additional information on Advantage Inspection or Advantage Home Warranty please visit www.advantagehomewarranty.com or www.advantageinspection.com. For additional information on Nationwide Insurance please visit www.nationwide.com. AHW is available in SC, NC, KY, AL, TN, & GA. Advantage Inspection & Advantage Home Warranty are registered trademarks.